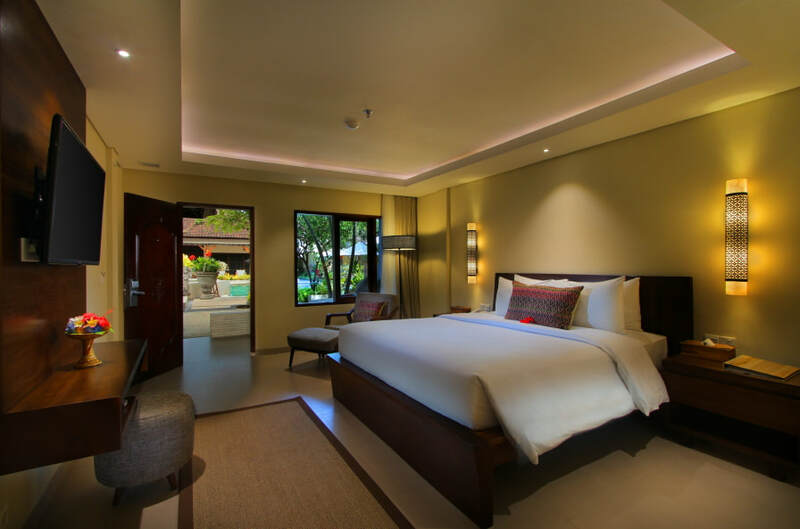 AlamKulKul Boutique Resort Kuta Bali is an award winning luxury boutique resort nestled in the legendary Legian sunset beach. 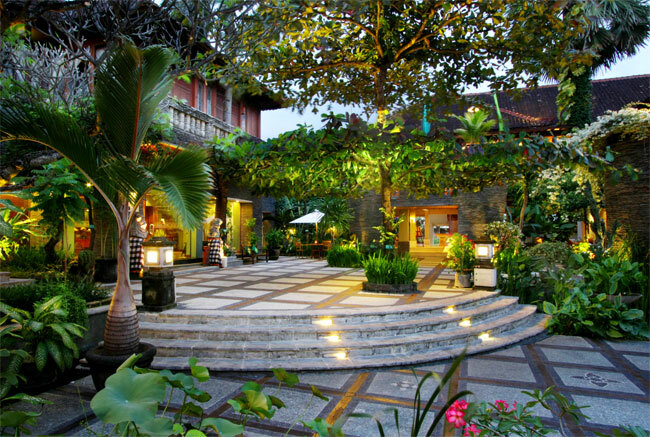 With an extraordinary sunset view of Kuta, the luxury kuta hotel engage undisturbed nature at its best with beach, green resort surroundings and Balinese traditional designs. 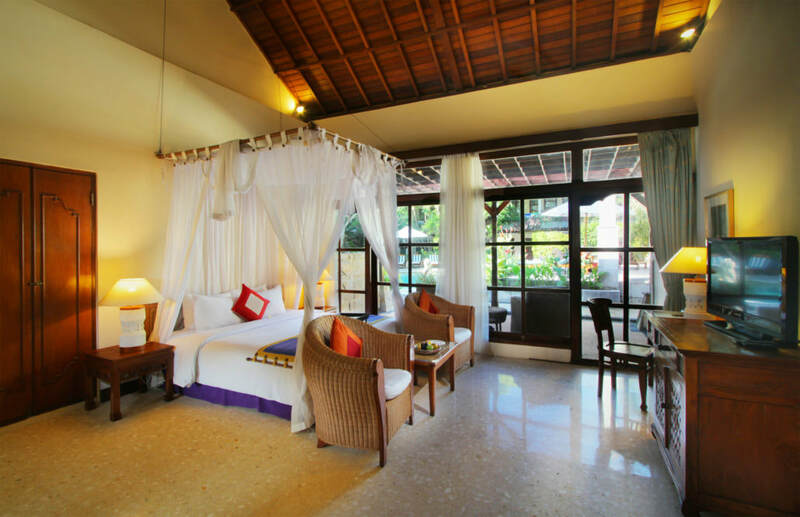 Each of the superior rooms and villas at our boutique kuta hotel has its own charm and character to allure you in a divine and luxurious holiday, another world away. 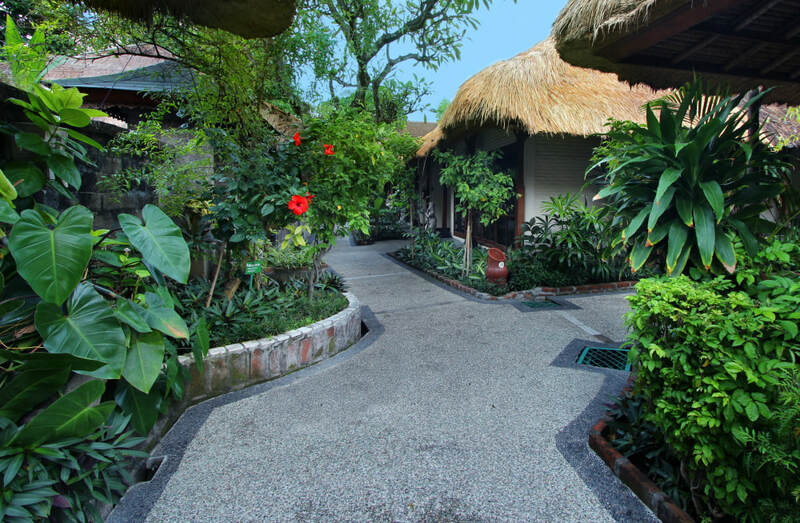 Lose yourself in our boutique resort’s impeccable tranquility, Bali’s representation of a perfect hideaway in an environmental-friendly frame, our commitment as a green boutique resort in Bali. 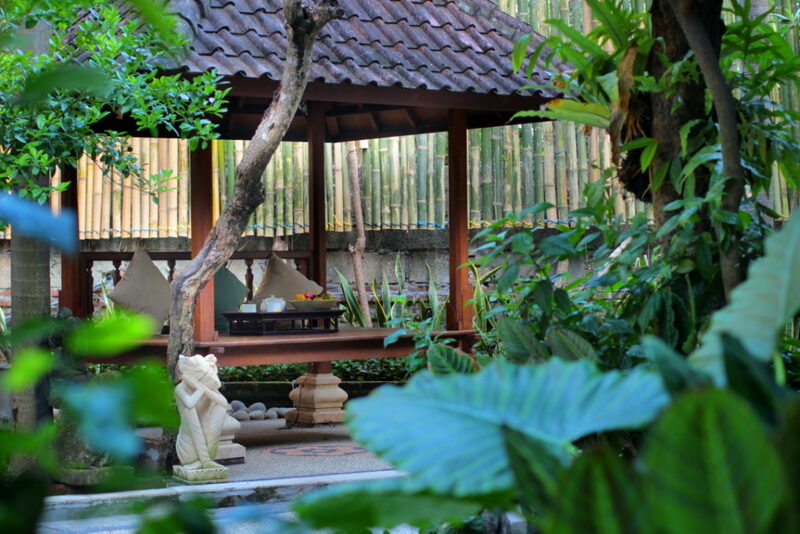 As a Bali boutique resort, AlamKulKul is proud to be one among few boutique resort hotels in Bali that achieved reputable awards in various green and boutique kuta hotels awards. 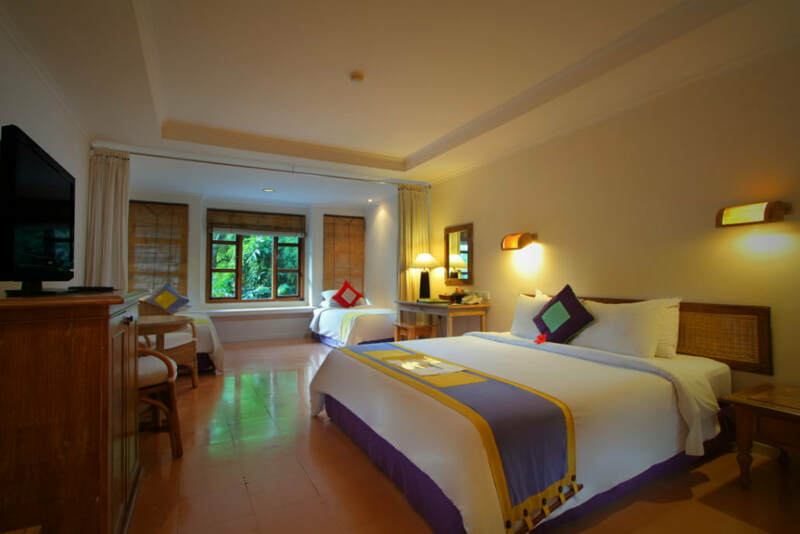 A leading room category with en-suite bathroom and a balcony, this spacious 38m2 room is located on the first, second and third floor with the natural lush greens view and options of queen beds and single beds. 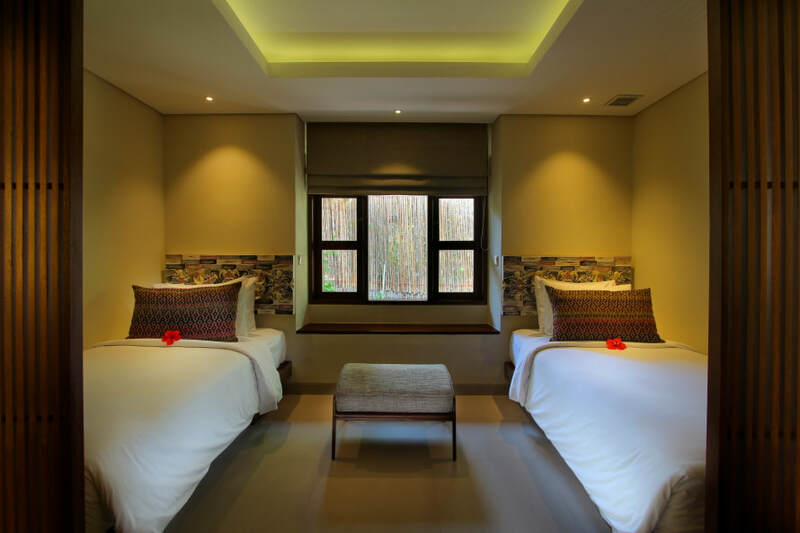 Filled with wood elements and Indonesian arts and crafts, Alam Room is the perfect boutique resort experience for anybody wishing for some intimacy during their stay in Bali. 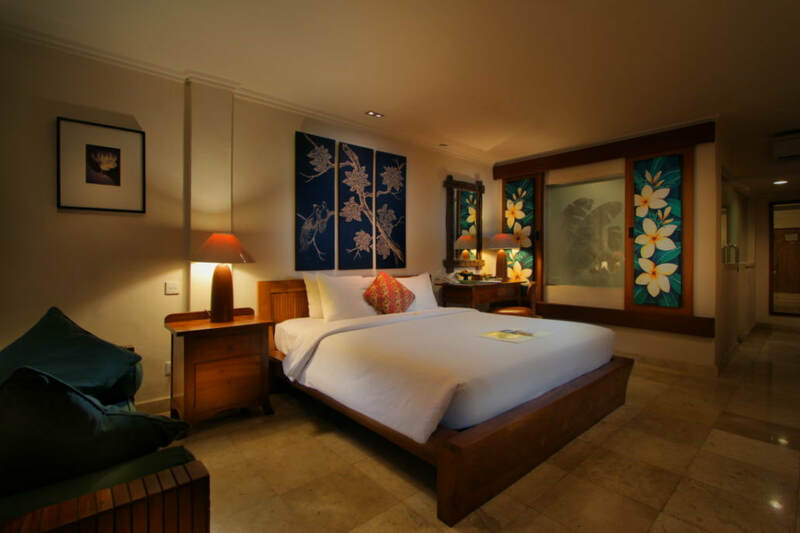 A well designed room with clean lines, incorporating Balinese touches with elements of traditional carving and artwork. 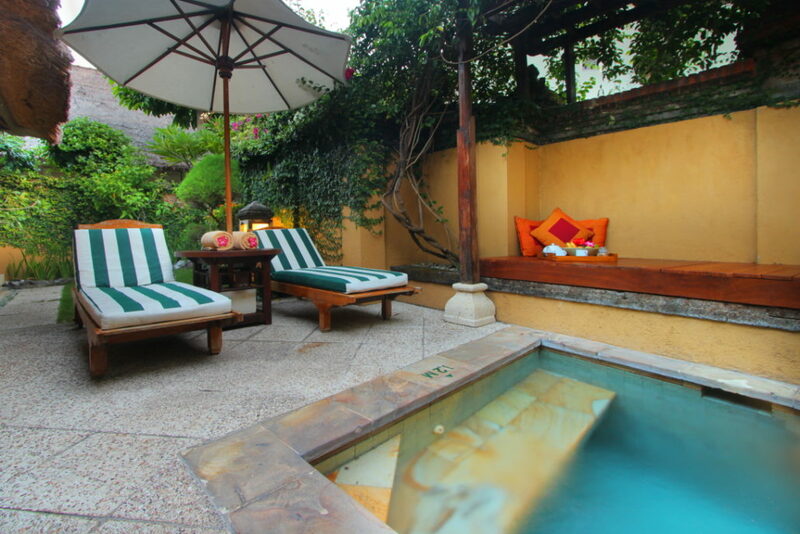 A comfy outdoor daybed on the terrace or balcony is perfect for relaxing. 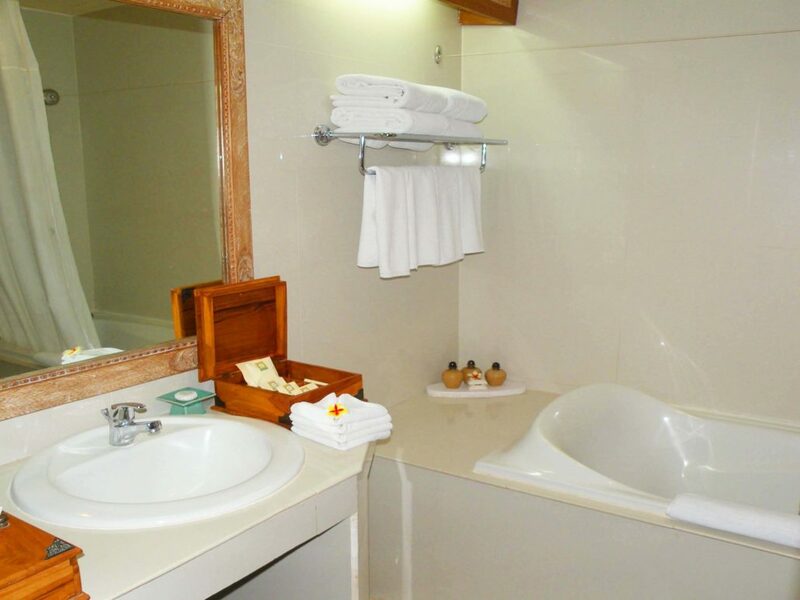 This spacious room is equipped with a flat-screen cable TV, fridge, bathrobe and an electric kettle as well as complimentary coffee-tea facilities. 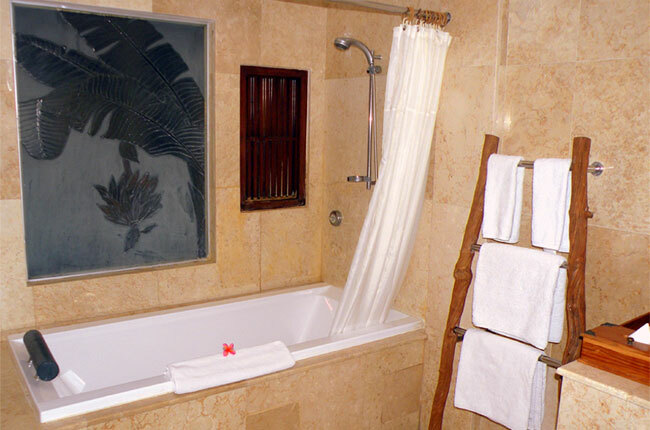 En suite bathroom comes with toiletries and rain shower amenities. 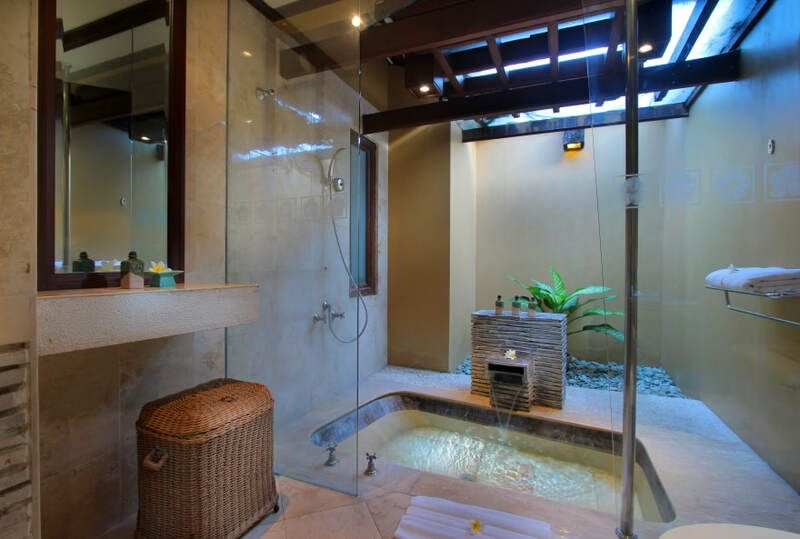 Convenience has transformed itself into Alam Lanai, a green beach resort room which is located on the ground floor overlooking the pool and with private terrace. 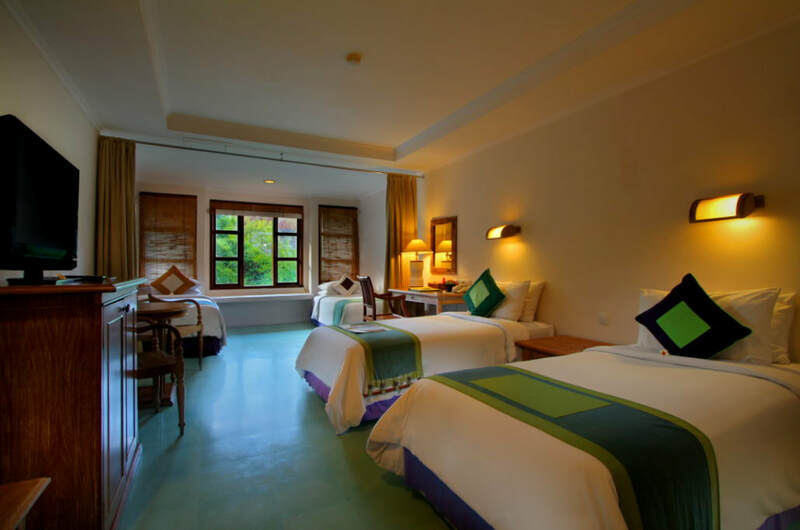 The charming room features a spacious 42 m2 room, exclusive timber furniture, Indonesian ornaments and choices of twin beds or queen size bed. 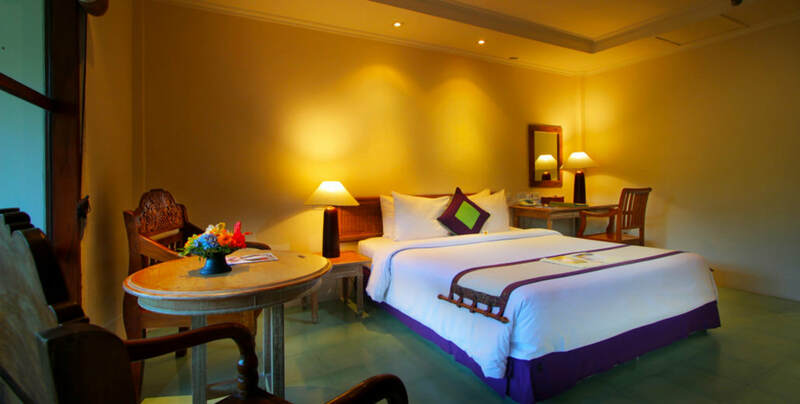 The AlamClub benefits are attached to this room category emphasizing more exclusive benefits with Balinese hospitality. 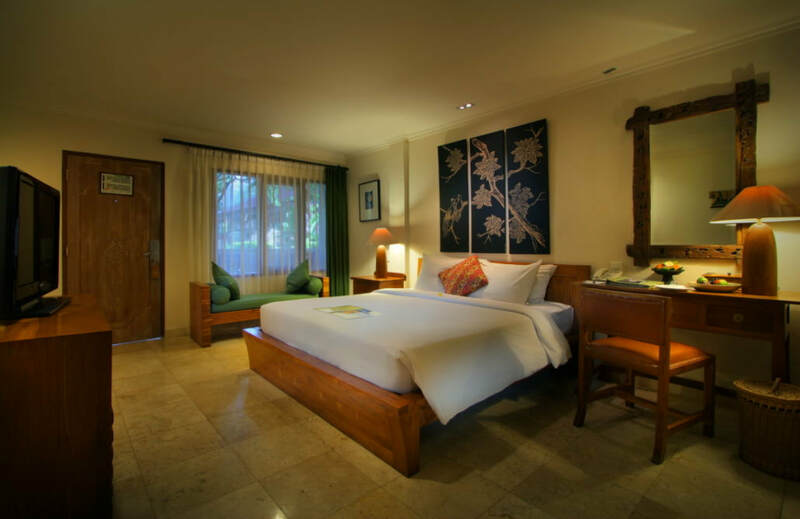 A well designed room, incorporating Balinese touches with elements of traditional carving and artwork as well as overlooking the Garden pool is a perfect point that you can consider to stay at while chill-out with pool view in front of the pool. 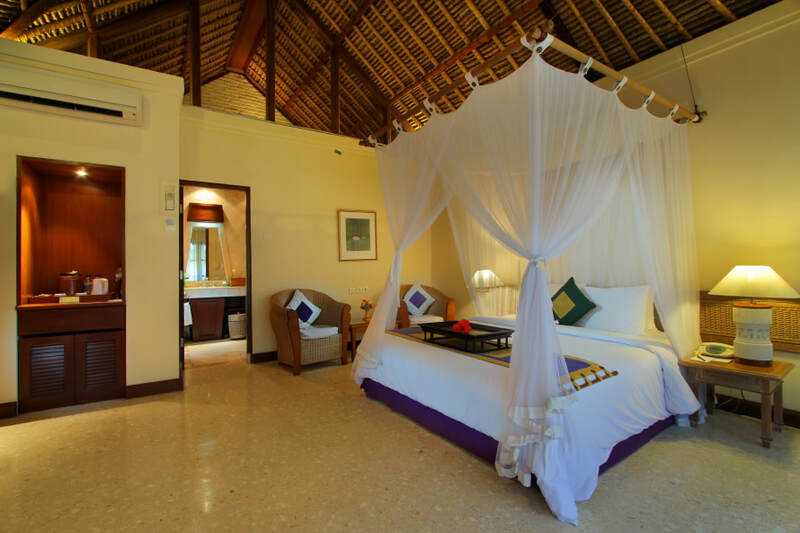 Lavish sunset beach lifestyle is summarized perfectly in Alam Villa with its thatched rooftop and a semi private location surrounded by the pristine garden that welcome nature lovers like you. 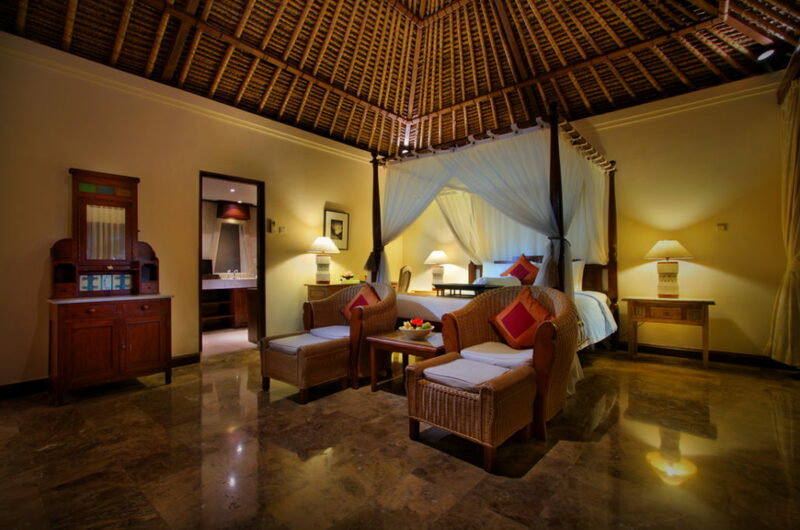 Balinese exotic design is well-interpreted in the wooden and rattan furniture, large wardrobe and outdoor bathroom. 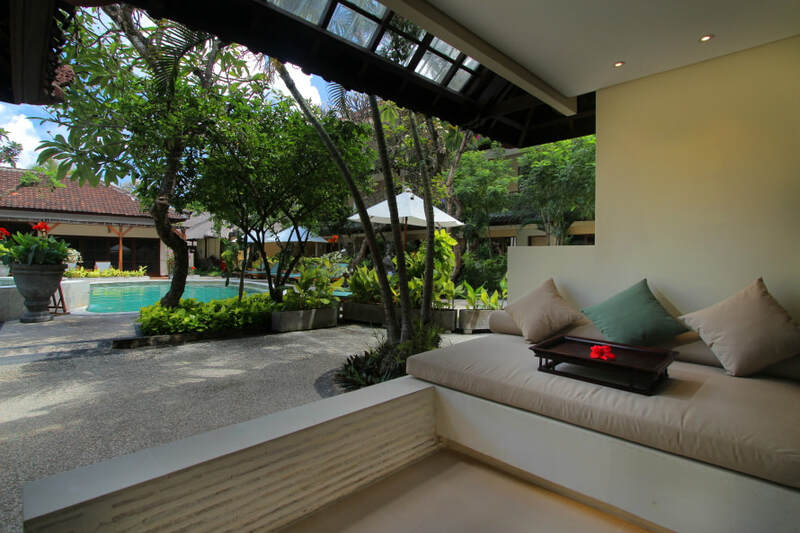 Lavish sunset beach lifestyle is summarized perfectly in Villa Pool Access with a semi private location surrounded by the pristine garden and pool view that welcome nature lovers like you. 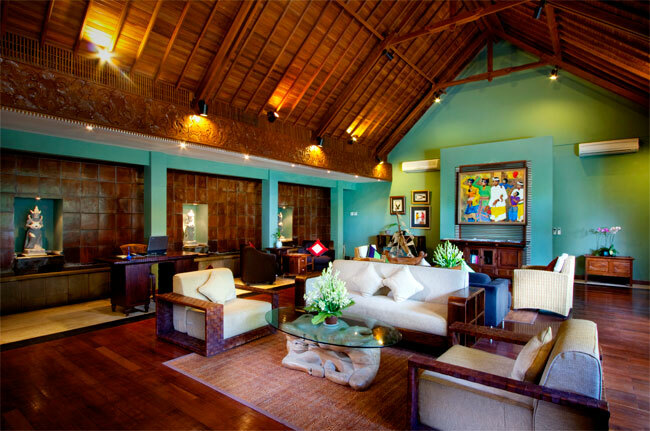 Balinese exotic design is well-interpreted in the wooden and rattan furniture. 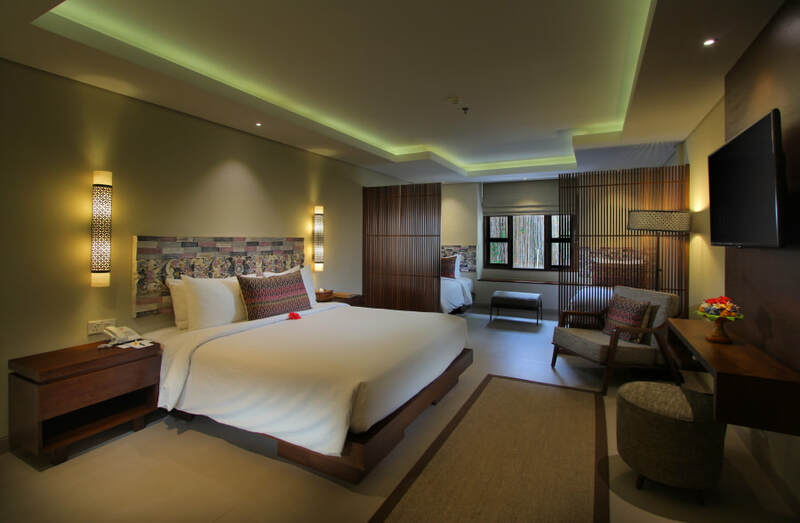 Family travelers will enjoy their shared moments in this room category that has a queen bed and two single beds with a curtain partition that gives a sheer separation between the main area and the extra space. 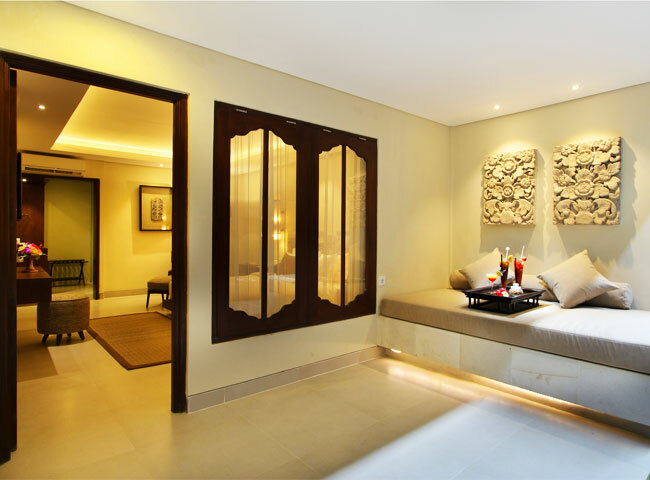 Completed with contemporary Indonesian amenities in earthy colors inside the room. 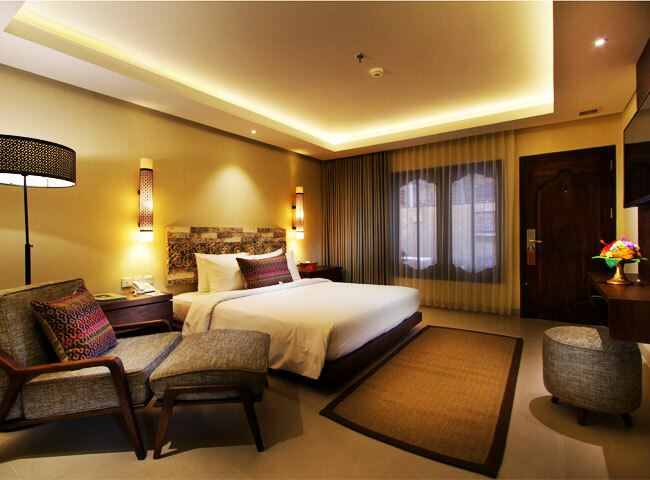 A comfy 42sqm spacious room with a queen bed and 2 single beds in the room comes with new design and atmosphere which is very suitable for you who are travelling with family or kids. Stylish rooms with a fresh appeal measuring 45 m2 in total size. 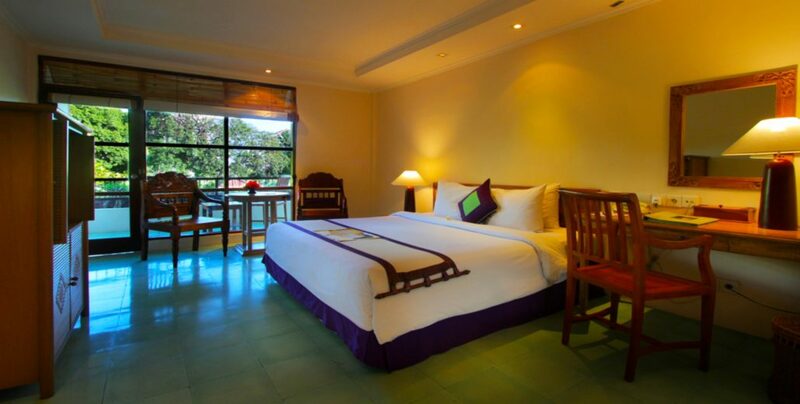 Comportably accommodates 4 Single Beds with charing garden view. Partitioned by curtains for adult privacy. Room category has no terrace/balcony. 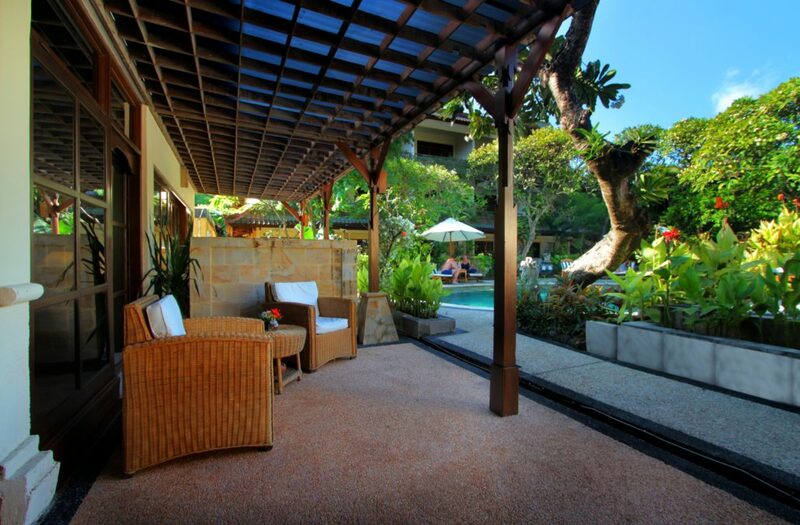 Upon entering Java Villa private entrance, you are taken to absolute privacy within landscaped garden surroundings. 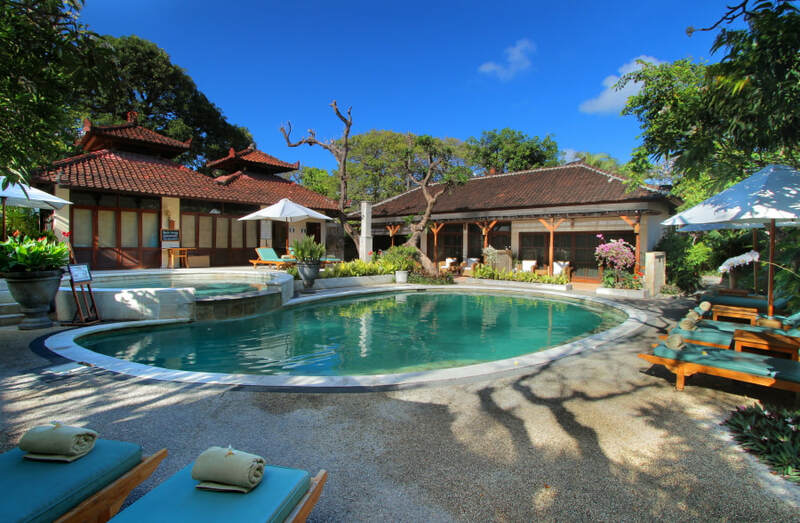 Adjacent to its name, Java Villa is filled with unique Javanese antiques and design that is furnished with deluxe workmanship to captivate its overall architecture, outdoor bathroom with marbled bath tub, personal plunge pool and sun loungers to enhance. Bunga Kelapa is a literal translation of Coconut Flower which reflects Bali’s nature and delicacies that uses coconut as one of the main ingredients. 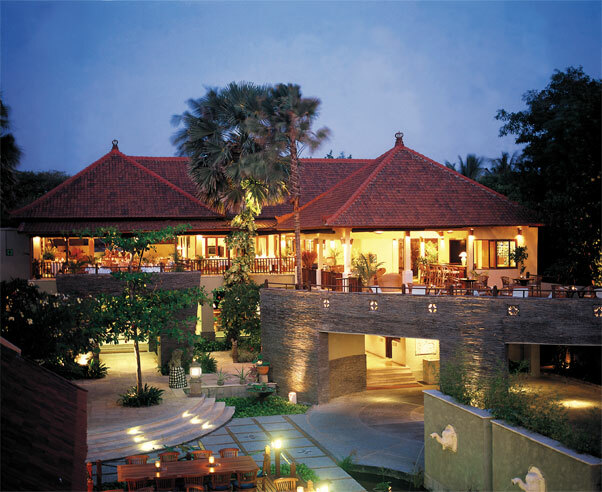 It is a breakfast area in the morning serving rich varieties breakfast options in a semi outdoor green setting and a great Asian Restaurant during lunch and dinner. 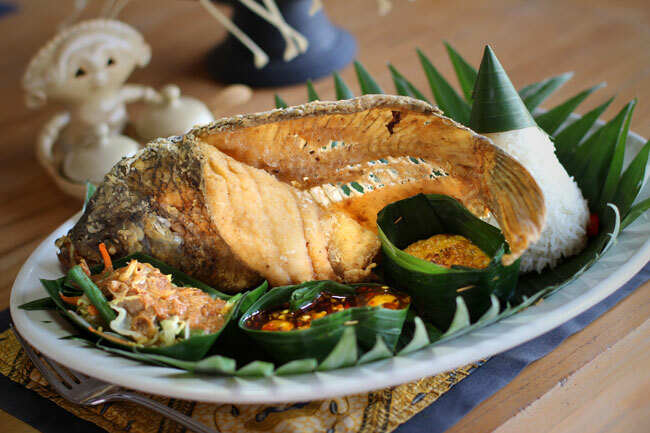 With the Legian sunset beach view and fresh breezy surroundings, savoring delicious Asian gourmet with premium service at Bunga Kelapa will flourish your palatable senses in an award winning boutique resort. 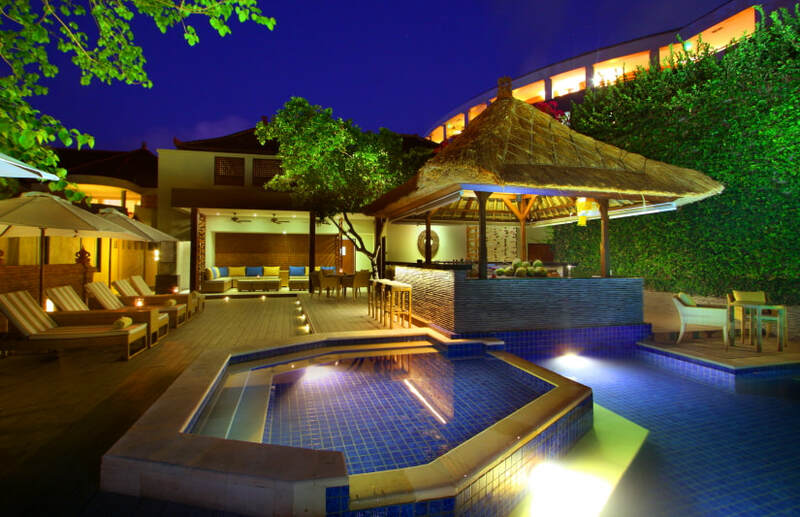 The staffs at the Poolside Bar are famous for their friendliness. They ensure your chilled moments after a splash at one of the idyllic pools with choices of tropical favorite snacks and drinks. Whether it’s snacking, drinking or having lunch, the outdoor frame makes the difference to the serving style of the food and the beverages from the daily regulars. 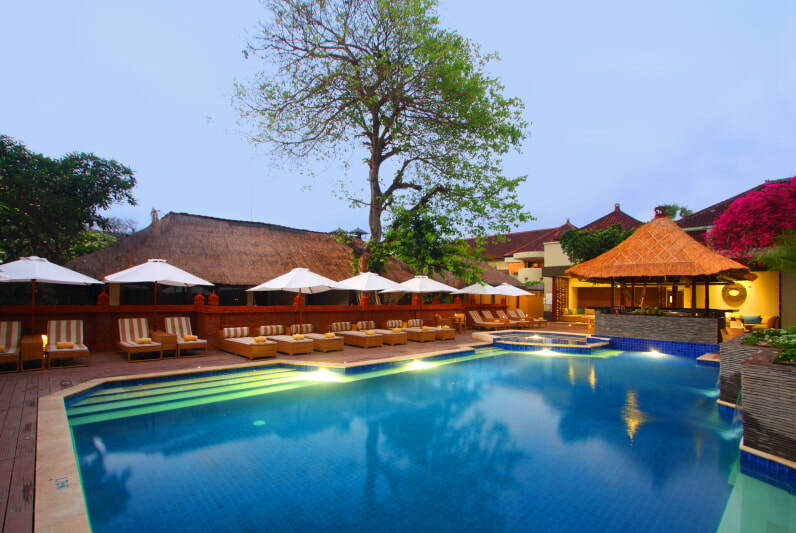 With blue clouds atop, sunset beach outside, green garden surroundings and the sound of nature, outdoor lounging will feel restful at the Poolside Bar of Alam Kulkul Boutique Resort. 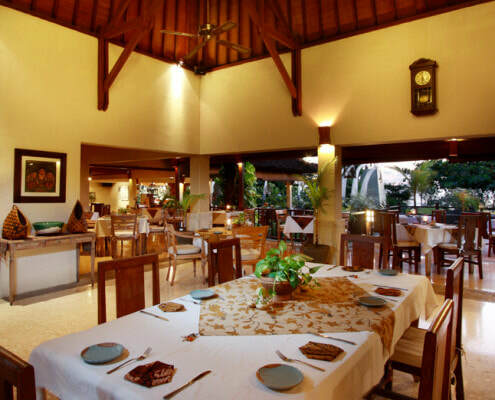 With a capacity of 250 seats and a frontal view of the Kuta sunset beach, Papas is a family friendly restaurant offering Mediterranean cuisine and more than 27 classic coffee drinks, juice, beers, mocktails, cocktails and wines. 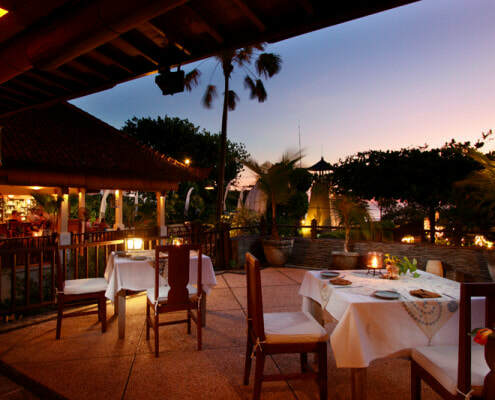 And if it’s not enough, how about a great pizza and a warm boutique resort ambience to take your breath away? 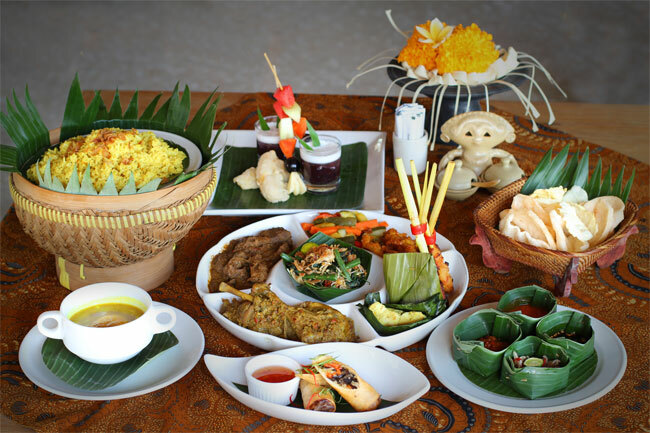 It is located in front of Alam Kulkul Boutique Resort and open for breakfast, lunch and dinner.